Crystal clear page with 2 pockets 9 1/2 x 5 1/2" (240 x 140 mm) including WHITE backing page for banknotes. Crystal clear page with 2 pockets 9 1/2 x 5 1/2" (240 x 140 mm) including BLACK backing page for banknotes. 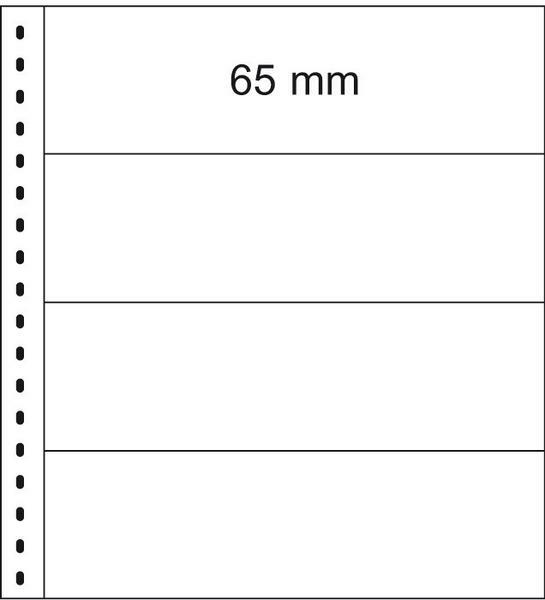 Crystal clear page with 3 pockets 9 1/2 x 3 1/2" (240 x 90 mm) including white backing page for banknotes. Crystal clear page with 3 pockets 9 1/2 x 3 1/2" (240 x 90 mm) including BLACK backing page for banknotes.